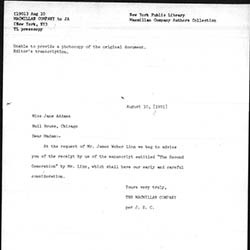 At the request of Mr. James Weber we beg to advise you of the receipt by us of the manuscript entitled "The Second Generation" by Mr. Linn, which shall have our early and careful consideration. 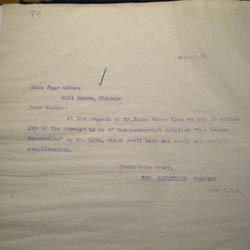 The Macmillan Company writes to Addams, acknowledging the receipt of John Linn's manuscript. 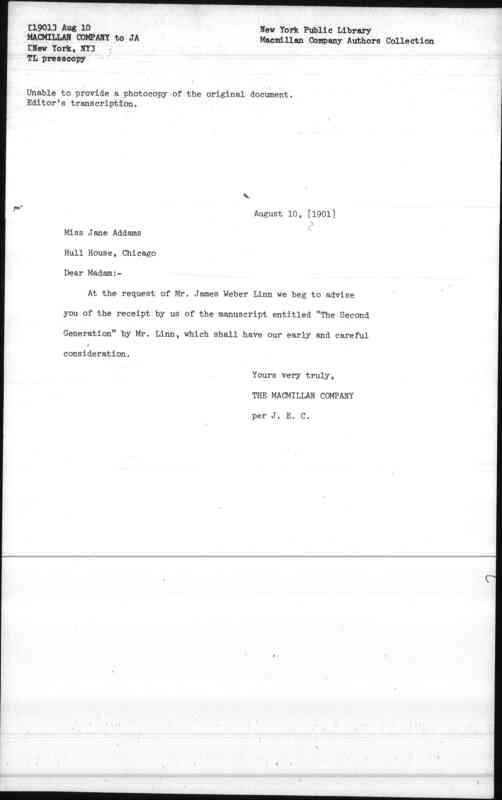 Macmillan Company, “Macmillan Company to Jane Addams, August 10, 1901,” Jane Addams Digital Edition, accessed April 25, 2019, https://digital.janeaddams.ramapo.edu/items/show/998.